If you’re visiting the Gold Coast and want to see the best waterfalls in the region, you have come to the right place. I have taken the time to visit as many Gold Coast waterfalls as possible. Here I present a comprehensive list of the Gold Coasts best waterfalls. 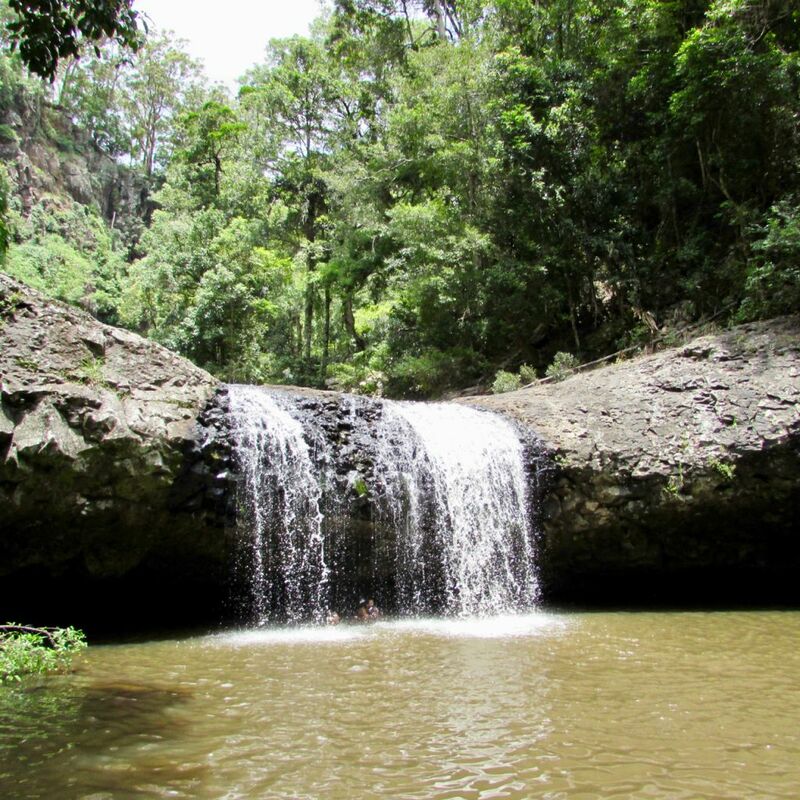 This one is for the true adventurers, willing to hike 17kms return to this Gold Coast waterfall. In my opinion, the hard work is ALWAYS worth the reward. Photo is from here. There are two Currumbin Rock Pool areas. The first is a large swimming hole that most visitors stop at. If you continue past the first Currumbin Rock Pool, all the way to the end of the road, you will reach another area of Currumbin, which is much more impressive if you ask me. This section of the Currumbin Rock Pools has a series of swimming holes and waterfalls, so you can adventure upstream to find the perfect place for yourself to relax. This photo is just one of the mini waterfalls found at the Currumbin Rock Pools. There is something about the natural bridge in Springbrook that is just so magical. The Natural Bridge is a stunning waterfall that flows through a natural hole in the rock formation and into the cave below. By night the cave lights up with thousands of glow worms. This Gold Coast waterfall is one of the most photogenic so don’t forget your camera. This is my complete guide to visiting Natural Bridge Springbrook. One of the most picturesque waterfalls on the Gold Coast and easily accessible to all. But you might not want to visit on a hot day because this is one of the waterfalls you can’t swim at. I recommend visiting Curtis Falls and Cedar Creek Falls on the same day. Photo from here. The waterfall at Cedar Creek Falls isn’t the main drawcard. What attracted me to Cedar Creek Falls was the series of waterfalls and swimming holes found along Cedar Creek, making it the perfect natural playground for the adventurers. Not only this, but Cedar Creek Falls has a perfect BBQ and Picnic area that I highly recommend making the most of. Plan for a full day trip to Cedar Creek. See my guide to Cedar Creek Falls and consider combining your trip to Cedar Creek with Mount Tamborine Sky Walk, just 5 minutes up the road. There you have it, my top picks of Gold Coast Waterfalls not to be missed. ALWAYS take your rubbish home with you. The waterfalls near the Gold Coast are pristine and we want to leave them that way. Sunscreen is always recommended for a day in the Gold Coast sun. When visiting the waterfalls, wear a natural sunscreen. Pack a picnic so you can spend even more time enjoying the waterfalls near the Gold Coast. Always watch for snakes when you go bushwalking around the Gold Coast. Disclosure: This post on Gold Coast Waterfalls that you can’t miss contains affiliate links.